Sister Pauline Lemaire loves learning and reading. She’s shown that in a traditional school, a Montessori classroom and as an English as a Second Language (ESL) teacher, as well as helping children in El Salvador discover the magic and joy of reading. Born in Moxee, Washington, to French-Canadian parents, Pauline and her older sister spoke French at home and English at school. At age 6, she knew she wanted to be a Sister of Providence like her first-grade teacher, Sister Mary Leona Miller. After graduation from Holy Rosary School, Pauline entered the religious community at Mount St. Vincent, Seattle, in 1957 and professed first vows in 1959. She lived in Everett, Washington, and took classes at Seattle University until the opening of the College of Sister Formation in Issaquah, Washington. 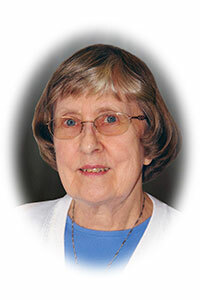 For 14 years Sister Pauline taught primary grades in parochial schools in Sun Valley, California, and in Tacoma and Seattle in Washington State. She has a special love for the 14 years she taught young children, ages 2 ½ to 6, according to the Montessori Method of Education, in Portland, Oregon. Then came a sabbatical to Jerusalem for a scriptural study program in 1996-97. Traveling solo, she also visited Europe and the Sisters of Providence in Egypt. She returned to the Yakima Valley, arriving 40 years after she left home to enter the convent. There she spent a few years teaching ESL at Yakima Valley Community College to adult farmworkers. After a layoff of ESL teachers, she continued teaching ESL as a volunteer in various places and also did adult home care, giving respite to the adult’s family caregiver. In 2003, Sister Pauline was asked to go to El Salvador to teach English to Vilma Franco and Margarita Hernandez, then postulants with the Sisters of Providence. While there, Sister Pauline found herself moved by the needs of the children. She returned to Spokane to take an intensive Spanish language course, followed by a few months’ stay with the sisters in Chile to further develop her Spanish skills. She returned to El Salvador in 2007 and began a small children’s library on the front porch of the sisters’ house, where the children came to read for fun. Many generous people donated Spanish books and/or cash for the library. Health issues brought Sister Pauline back to the United States in 2012 and to St. Joseph Residence in 2015. Mornings now are mostly for prayer, quiet time and spiritual reading, and she is able to help sisters with mending and other tasks that she can do on the spot. Her special joy is taking art classes, something she had longed for since her youth. She looks forward to this Jubilee celebration, which will be low-key and quiet like her life has become. At age 6, Sr. Pauline knew she wanted to be a Sister of Providence like her first-grade teacher, Sister Mary Leona Miller.